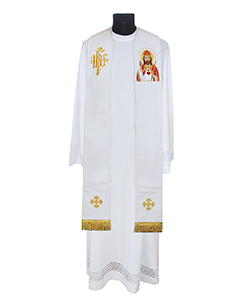 Used during Mass by a priest, deacon or bishop leading sacred ceremony, this clergy vestment is an important part of liturgical clothing. Chasubles for sale are not only precisely made, but also beautifully adorned with magnificent embroidery. 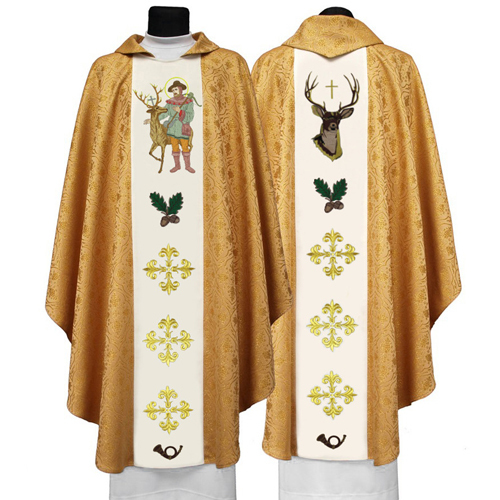 Choose from a whole range of various types of chasubles for sale: Roman, Gothic, Monastic and Semi-Gothic models. 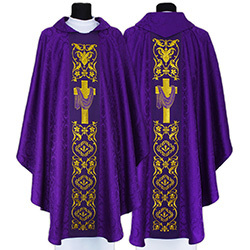 Just look at our bestselling set of Semi-Gothic vestment. There are six sophisticated garments made of lightweight damask and decorated with beautiful orphreys. 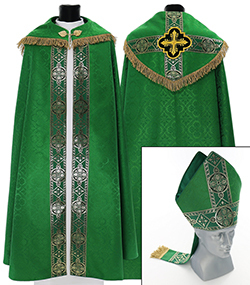 There are also priest stoles included in the pack. You may also be interested in purchasing another set of our apparels. 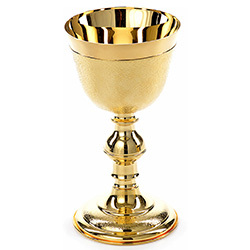 These products have been made in Gothic style with the use of plain fabric in white, purple, green and red colours. Each garment is decorated with a beautiful orphrey. Take a closer look at an elegant Semi-Gothic attire sold in three colours: red, purple and black. 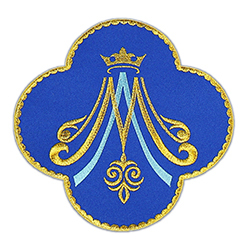 It is decorated with precisely made embroideries. 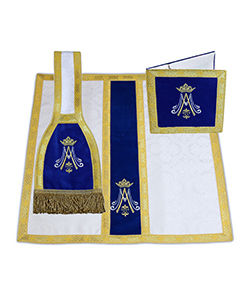 You should also check our beautiful Marian Gothic vestment made of lightweight blue damask and decorated with golden orphrey. As you can see, a great number of chasubles for sale is available at Ackermann Liturgical Vestments. Feel free to check our catalogue and purchase the versions you find the most interesting.